If you've ever wondered how to ice a cake board, make a fondant rose or how would I get smooth icing? Look no further! 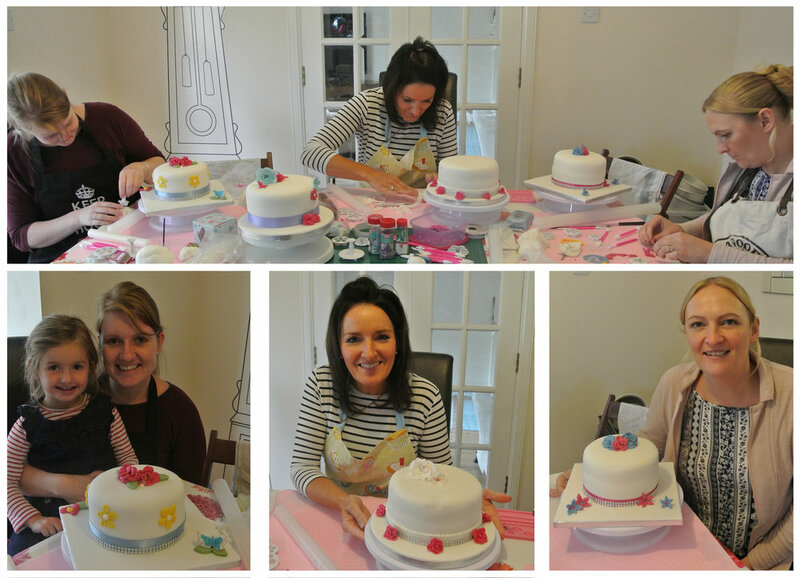 I regularly have Cake Decorating Classes to show you how. CHILDREN MORE THAN WELCOME TO ATTEND TOO!! In these classes, all you need to bring is yourself & a pinny, I'll provide everything you need!! I'll teach you how to Ice the board, buttercream & layer your cake, cover in fondant & I'll also show you how to make fondant roses & a variety of different techniques depending on the class. The children's classes are held during holiday times only at present. Again I will provide everything. I'll show the children how to pipe buttercream on their cupcakes then they get to decorate any way they choose!! Then we get on with making our fondant animals, these change from class to class! !